Italian tradition meets creativity in this cozy restaurant. Taste its homemade pasta, organic vegetables and delicious recipes from Ciociaria. Food is both pleasure and culture, in this way chef Giacinto D’ambrosi talks about his homeland and its products throughout creativity and passion. 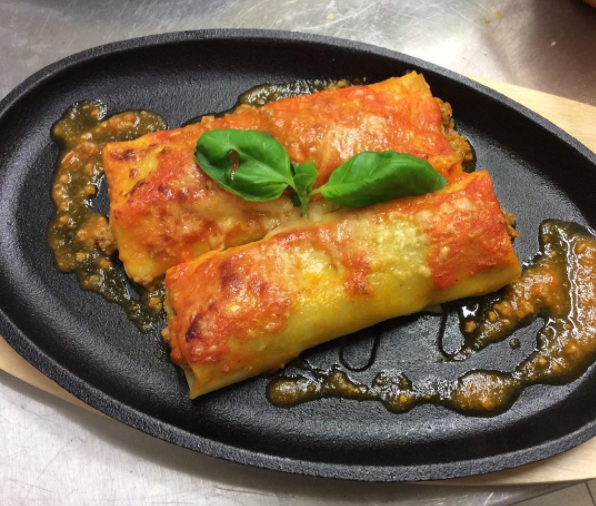 Opened in may 2016, Babbo bar is a small restuarant in the middle of Neukölln, between Sonnenallee and Karl-Marx- Straße, that everyday brings to Berlin the authentic tasting italian products, skillfully cooked by chef Giacinto D’Ambrosi. You can choose between three different menus: the daily menu, à la carte menu and a three-course set menu based on meat, fish or a veggie course. Both a wide choice for the customer and a lot of work for Giacinto, working alone in his kitchen, but able to turn a simple dinner into a real journey through flavours and tastes gifted from our land. « Our customers can decide between three different menu, in order to please everyone and let our regular guests to taste always something new. There are the daily menu, à la carte menu, and a fixed three-course menu for the price of 25 euros. You can find this last one into three different versions: meat, fish or vegetarian. Since I’m by myself in the kitchen I’ve a lot of work to do, but I always try to meet my customers to describe the dishes they’re eating, from the ingredients used to the recipe creation. Before the dinner I always offer them a welcoming snack, for exemple a white asparagus soup, avocado cream, herrings with red onions, or a strawberry filled with goat and cow cheese cream. The recipes are based on seasonal ingredients, purely used, working on the dish presentation and on the combination of flavours in order to make the dish one of its kind. Trying to propose a simple cooking takes a lot of work: pasta and bread are homemade and always fresh, baked with italian stone-ground flours, so they take a different preparation time. In my kitchen fantasy is the most important feature but always with respect for my roots and for my mediterranean taste, that I want to share with my customers.